(i) Defined by inside points of white stakes or painted posts at ground level. (ii) A ball lying beyond boundary walls or fences is out of bounds. In the absence of white stakes near boundary hedges, a ball is out of bounds if it lies under any part of a hedge. 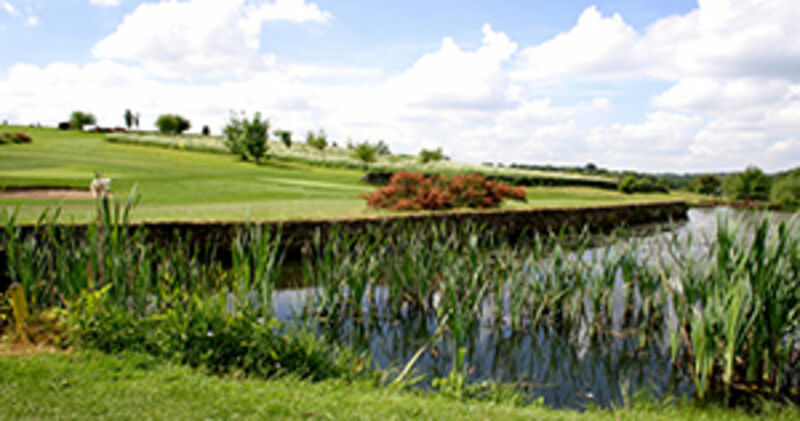 (iii) 8th hole, a ball lying over any water on the left of the whole length of the hole is out of bounds. (iv) 9th hole, a ball lying beyond the white painted posts on the entrance drive, in the hedged area to the right of the green and in the flower beds and ground beyond the stone wall behind the green is out of bounds. 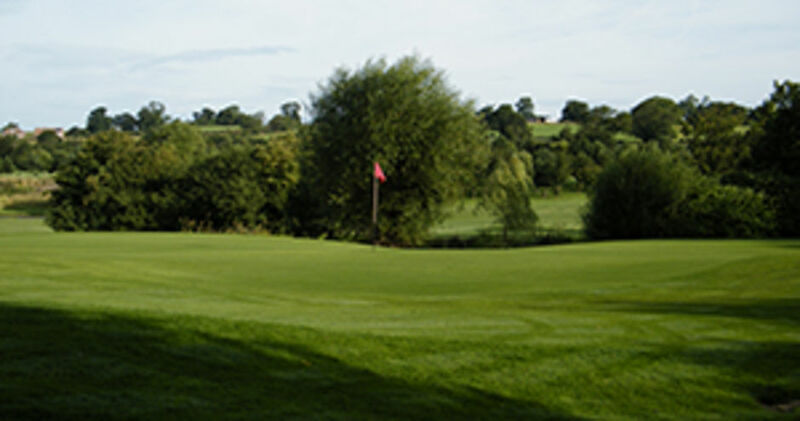 (v) 18th hole, a ball lying over the stream to the right of the green and which continues to the main drive is out of bounds. (vi) The car park and the flower beds near the 10th tee are out of bounds. (i) Artificially surfaced roads, paths are obstructions - Rule 16 definitions - relief without penalty under Rule 16-1a. The ball shall be dropped on the same side of the drive as near as possible to the point where it crossed the margin but not nearer the hole. The best estimate of this position may be agreed with fellow players under Rule 1-3b(2). A ball coming rest on the far side of the drive (i.e. 9th hole) must be played as it lies except on the green then relief must be taken under 13-1f. If a ball comes to rest so that the chain fence interferes with the intended stance or plane of swing, relief without penalty is available under Rule16-1a(1). Ornamental wood and chain fences are immovable obstructions - relief without penalty under Rule 16-1a(1). These including those built round tees are deemed to be integral parts of the golf course. Stones in bunkers are movable obstructions(rule 12-2a). Relief must be taken under Rule 16-1b from any staked tree. In addition similar relief must be taken from unstaked trees less than 2 club lengths in height. Relief is not available from unstaked trees which are more than 2 club lengths in height without penalty. Relief from interference by immovable obstructions on or within 2 club lengths of the putting green (e.g. sprinkler heads) may be obtained under rule 16-1b.